Good morning! So it’s a Saturday, and here I am, awake at 7:30am. Yeah that just happened. 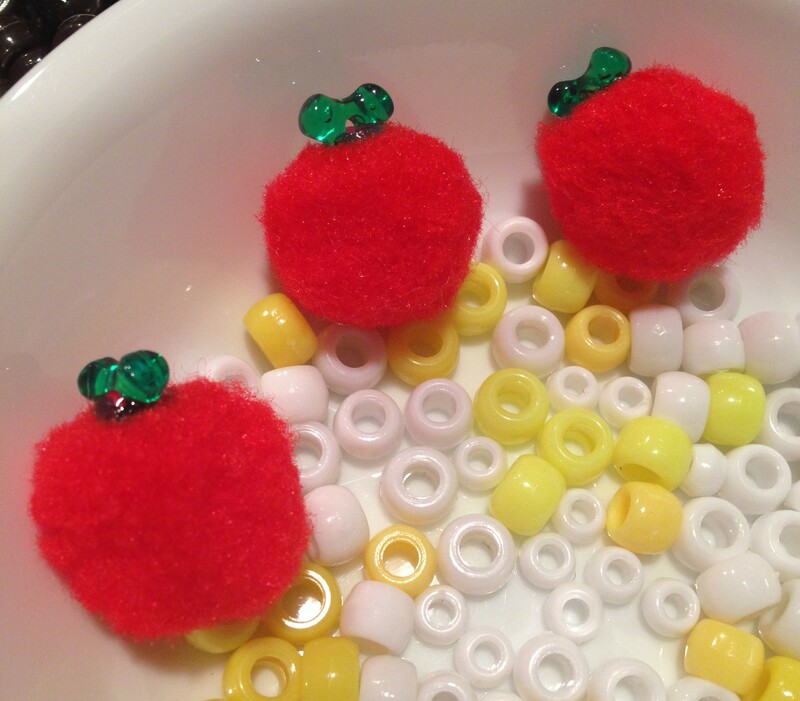 Anyhoo, as promised, I am going to show you how we made our little basket of doll apples. It’s very cute, and I’m sure that you will find it easy too. First let’s make your basket. 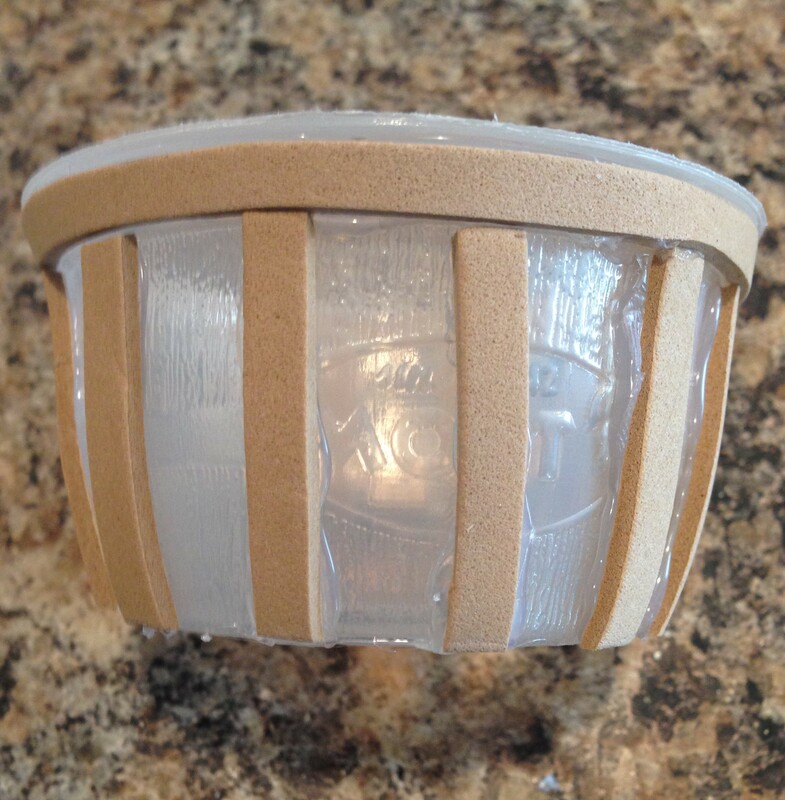 Cut strips of tan/brown craft foam and glue them around your applesauce container. Construction paper would work well too. 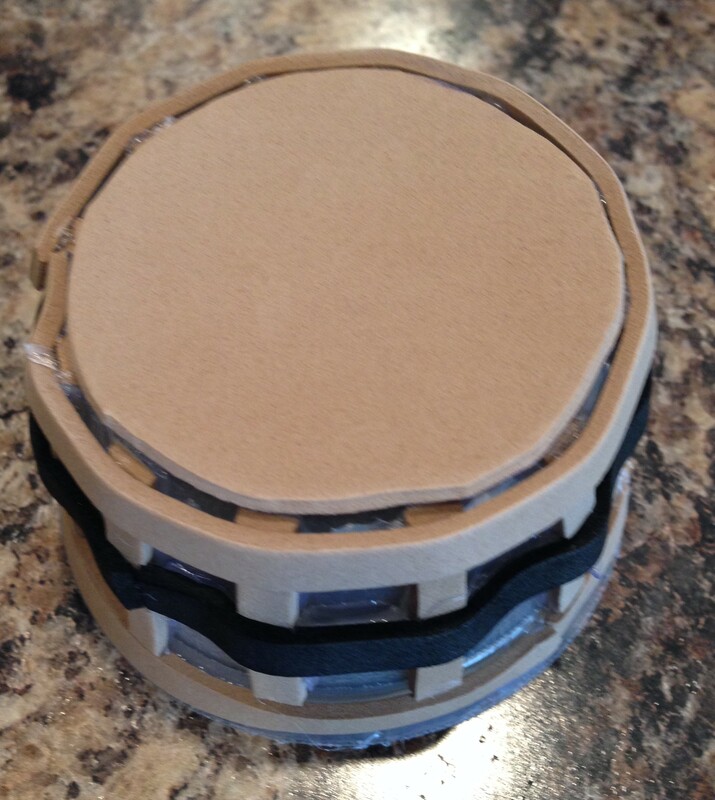 You can see in the photos below how we glued the pieces on. 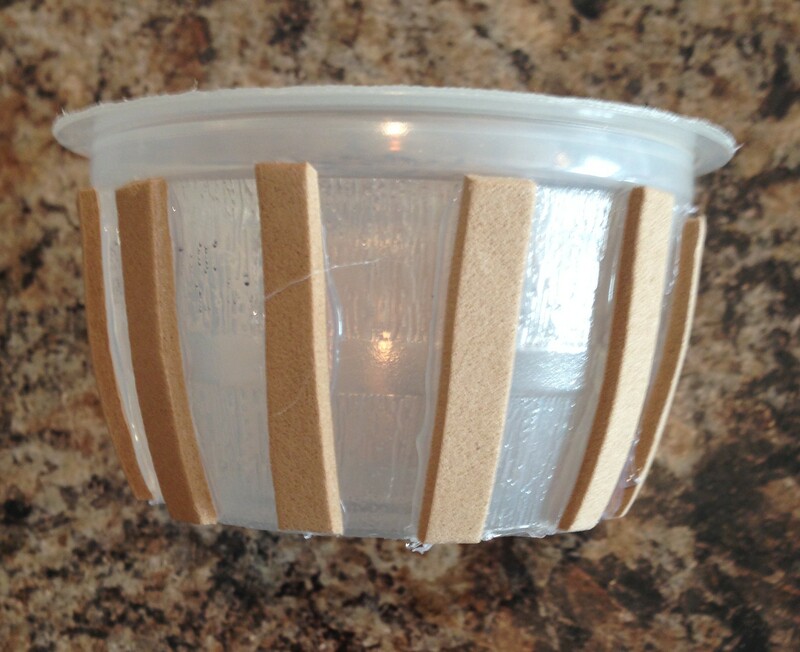 Next, take a longer strip of craft foam and wrap it around the top of your container. Glue into place. 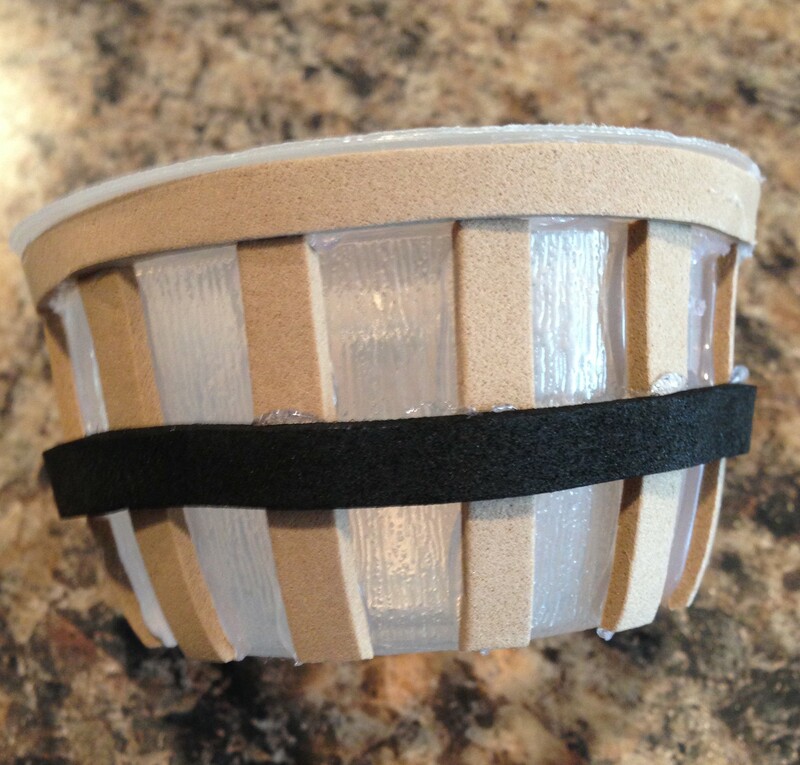 Take a strip of black craft foam and wrap it around the middle of your basket. Now add another strip of brown foam around the bottom. 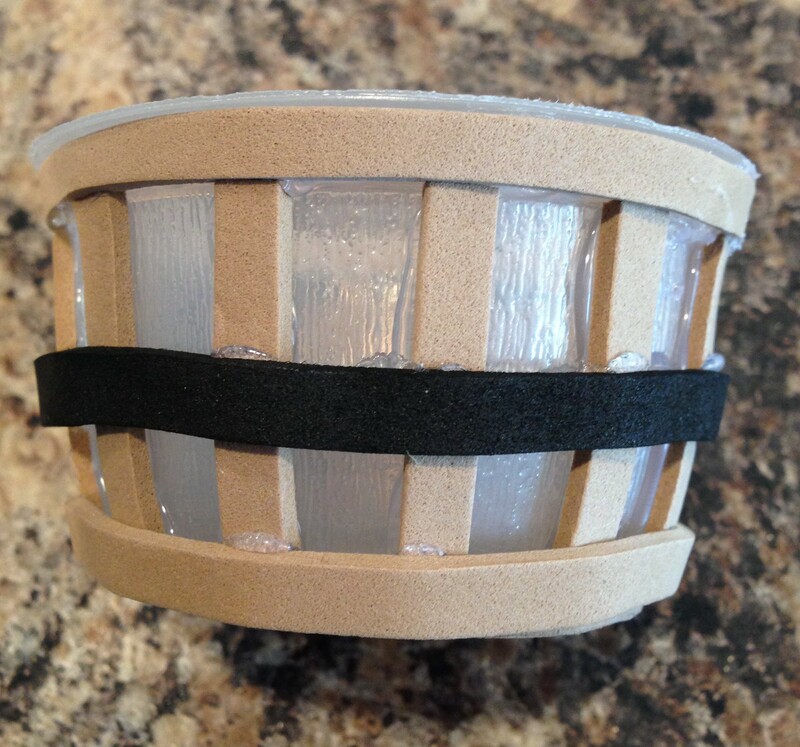 Finally, trace around the bottom of your basket onto brown craft foam. 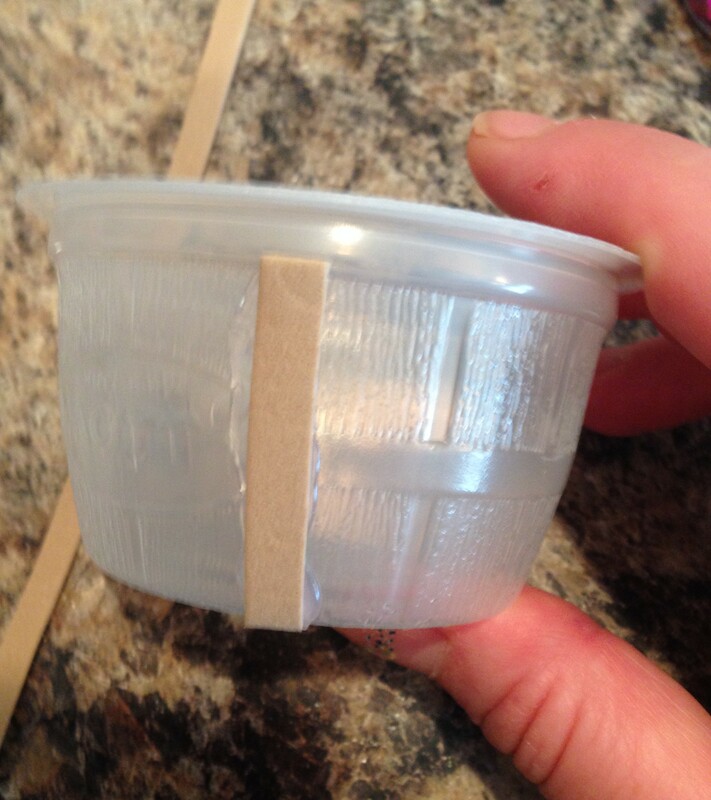 Cut out your circle and glue it to the bottom of the container. And you’re done! Now all you need to do is fill it! 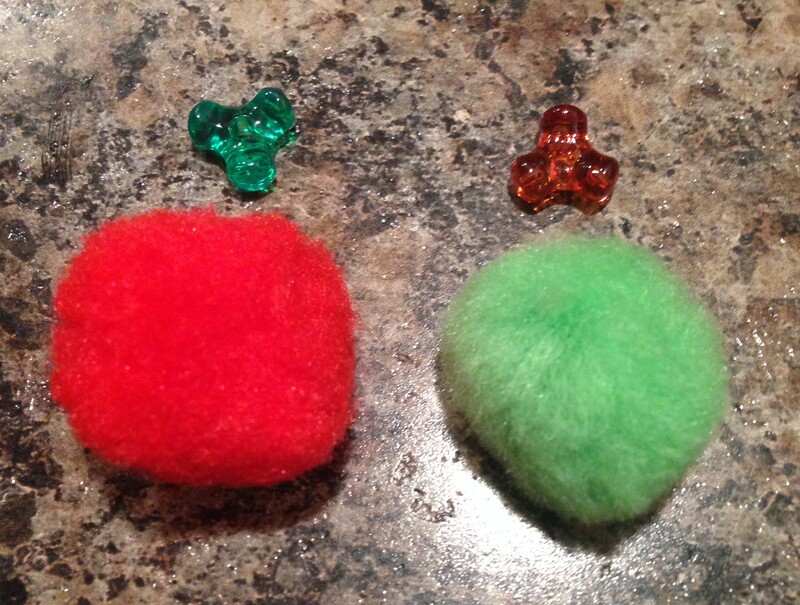 I used the orange tri bead to make a more pear like stem, but for an apple stem, glue on the bead like the red one. And here are the pears. I just made these for fun. 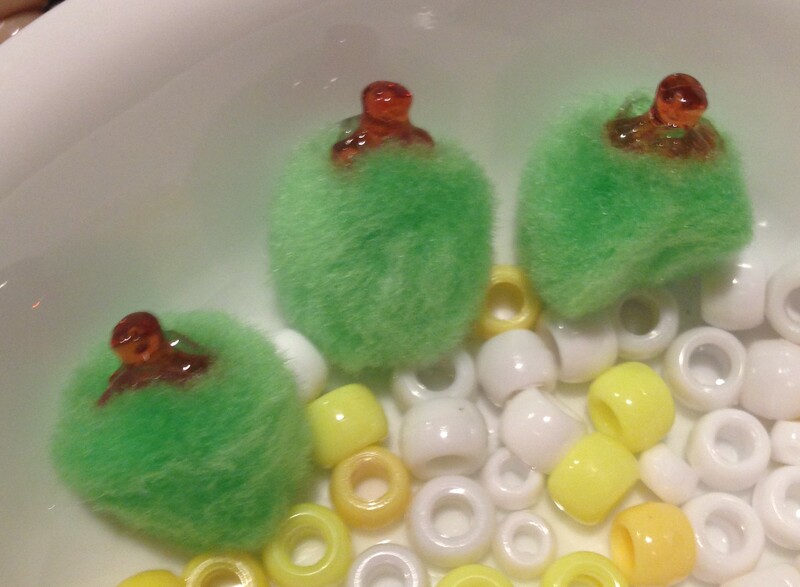 Just use orange tri beads and glue them on upside down. 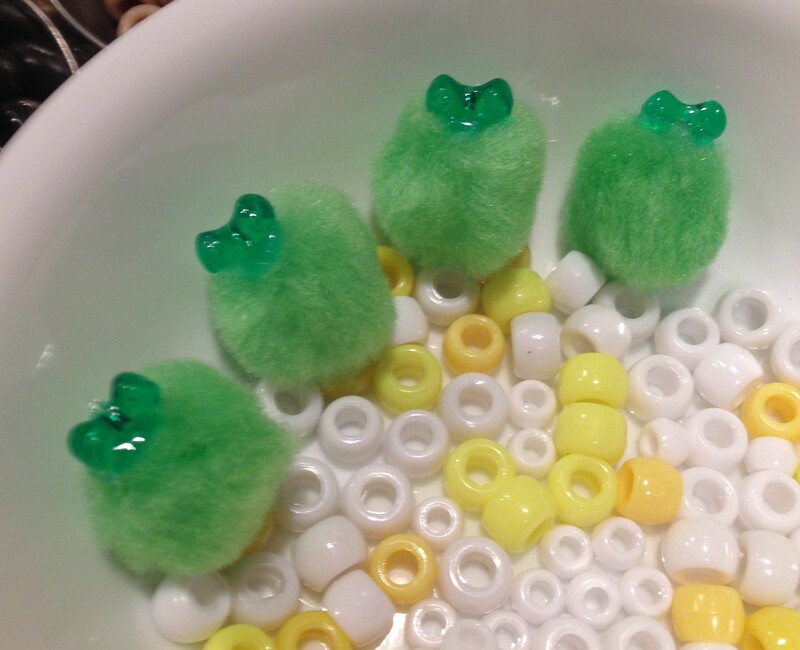 Maybe they look more like green peppers. Haha! Make as many as you want! 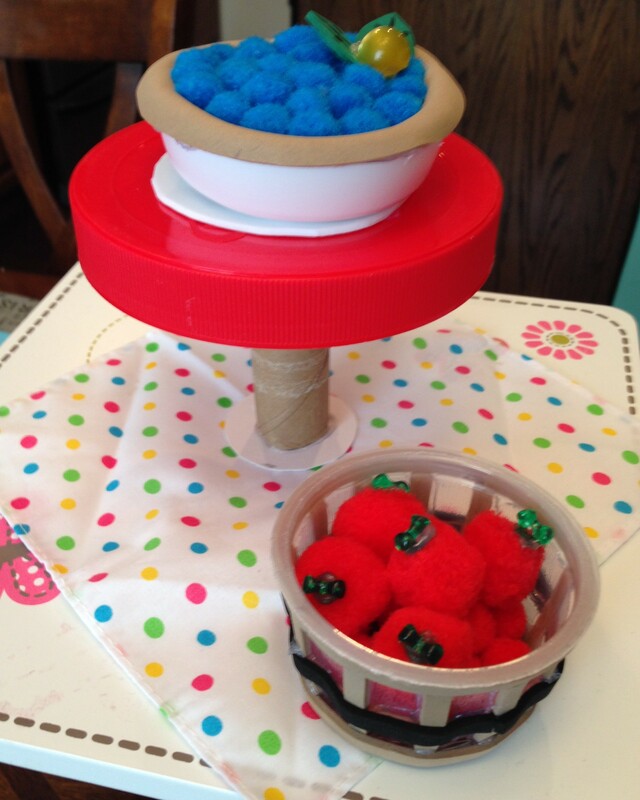 Here I’ve put them in a little doll fruit bowl. 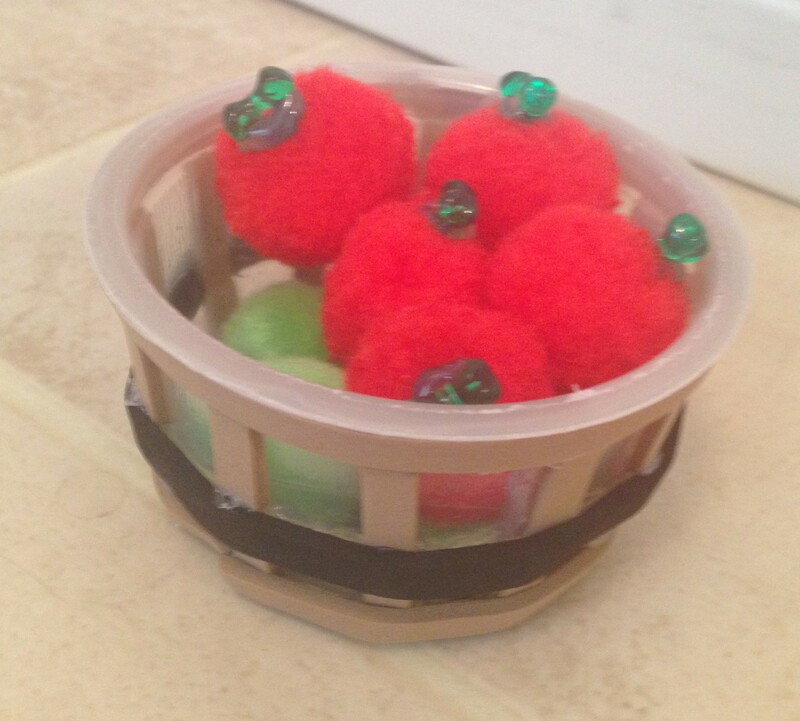 Or display them in your new apple basket. These would be super cute at a doll fruit stand for an outdoor market scene, or you could even use them for your dolls to bob for at Halloween. 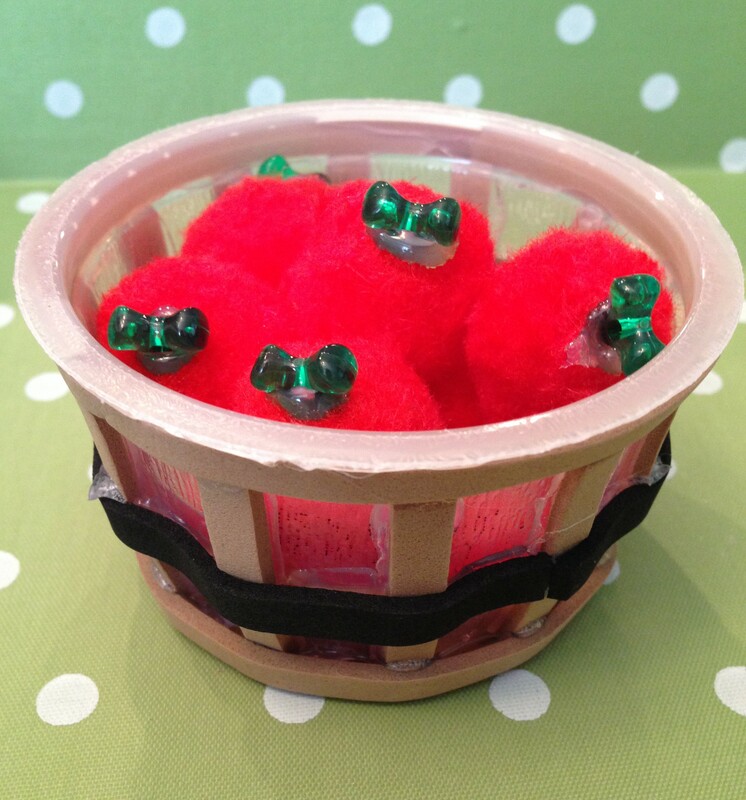 You could also display your little basket of apples to go with your doll’s pie making scenes. 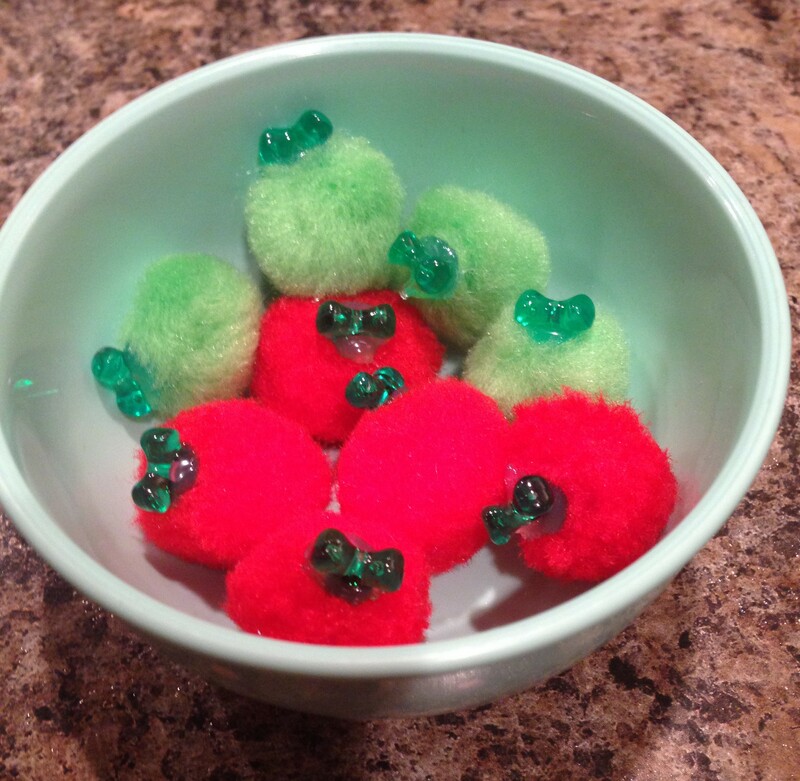 Our dolls are going to be making these apples into apple pie for sure. Next > MARYELLEN’S SEASIDE DINER HAS ARRIVED!! !